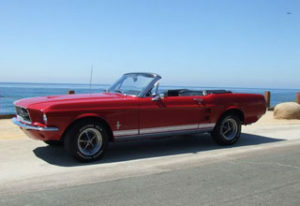 Do you want to buy or sell Classic Cars for the best prices? California Auto Classic want to pay you top dollar for your old and classic cars in any condition. Give us a call and we will make you the best deal. We will come to you and pick up your classic car in any condition. California Auto Classic is a group of individual investors who, by pooling their resources, have the financial power to purchase collectible and special interest cars from private owners who either don’t want to sell their cars themselves, or may not have the time to place and monitor ads, or the time to make viewing appointments for prospective buyers that may or may not show up, or they may just not feel that they have the needed skills to sell their car in today’s ever changing market. If you are interested in selling your classic/ custom car fast and at a fair price, please fill out this form, and someone will get back to you quickly. We are interested in all makes and models, from 1930 thru 1989, both Foreign and Domestic. We specialize in the purchasing of classic ’60’s musclecars,’40’s – ’60’s convertibles, and customs and exotics from all years. or contact us via the form on this page. Collision Damage? Not running? Call California auto classic Buyers first, we pay cash on the spot, and provide towing service at no cost for your convenience. 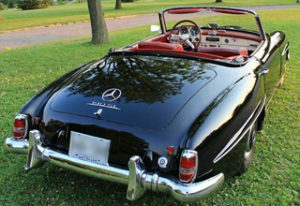 We specialize in European and classic American cars such as Mercedes Benz, Bugati, Austin Healey, Jaguar, Porsche, Ferrari, and American muscle and classics cars such as: American Bantom, Buick, Chevrolet – Corvette, Impala, Camaro, Cadillac, Mustang, Thunderbird, Plymouth – Cuda, Cord, Pontiac GTO, Lincoln, Auburn, Pierce Arrow, Excalibur, Plymouth, Studbaker and various other antique and classic cars. Do You Want To Sell Your Classic Car Fast and Get Paid Top Dollar? Collision Damage? Not running? Any condition! Call California auto classic first, we pay cash on the spot, and provide towing service at no cost for your convenience. If you are interested in selling your classic/ custom car fast and at a fair price, please contact us now, and we will get back to you quickly. California auto classic is a group of individual investors who, by pooling their resources, have the financial power to purchase collectible and special interest cars from private owners who either don’t want to sell their cars themselves, or may not have the time to place and monitor ads, or the time to make viewing appointments for prospective buyers that may or may not show up, or they may just not feel that they have the needed skills to sell their car in today’s ever changing market. If you are interested in selling your classic/ custom car fast and at a fair price, please fill out this form, and someone will get back to you quickly. We are interested in all makes and models, from 1930 thru 1989, both Foreign and Domestic. We specialize in the purchasing of classic ’60’s musclecars,’40’s – ’60’s convertibles, and customs and exotics from all years. Classic Cars is what we specialize in.